Studio Stockholm Arkitektur has created Sweden’s best-designed office! Studio Stockholm Arkitektur designed the winning entry in this year’s competition for Sweden’s best-designed office. During October, Swedes voted for their favourite office and then a qualified jury selected the winning entry among the five most popular nominees. 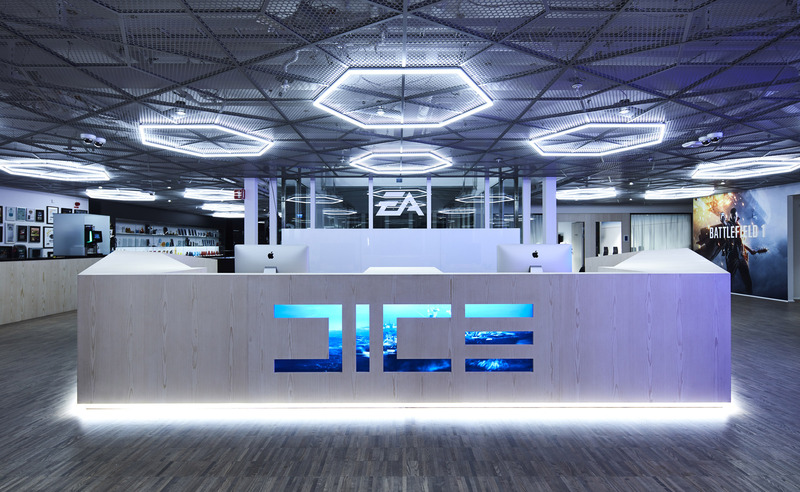 The winner of Sweden’s best-designed office in 2016 was Studio Stockholm’s client game developer Dice’s office in Stockholm. The contest Sweden’s best-designed office was organised this year for the sixth time. This year a new record of 73 offices were nominated. In October, almost 30,000 votes were received. The evaluation criteria were style, work environment and innovation. For Dice’s project Studio Stockholm took the whole role of architect Both for the tenant but also for the property owner in regards to the property’s entire design and adaptation. As well as Dice’s office, Studio Stockholm also designed Wiget Media’s office which finished second in this year’s competition. “It’s fantastic that two of the five nominated offices in this year’s competition were designed by Studio Stockholm. The fact that Dice went on to win and Wiget received second place is proof that we are leading the way in office development in Sweden. Our success is due to working with strong concepts, brand-building interiors and the development of how our customers operate. We are extremely proud of these results and want to say a big thank you to our customers who believe in the strong concepts we develop for them”, says Marco Checchi, a partner at Studio Stockholm Arkitektur. Pictures of the entries can be seen here: Dice and Wiget Media.